Mexican Auto Insurance by Mexican Insurance Store.com – Guadalajara – More Than Just Great Tequila! Guadalajara is as rich in culture as it is in excitement for visitors. For fun during the day, Guadalajara plays host for many adventurous and exciting opportunities. Traditional festivals and carnivals are held all year long throughout the city. There is a zoo, an amusement park for kids, city parks and a rodeo. There are many cultural centers and libraries in Guadalajara – including the university. The thing is, when you travel to Guadalajara, even with good quality U.S. or Canadian car insurance, it does not protect you against the people or property outside your motor vehicle. Read your US or Canada car insurance. Foreign car insurance policies are not recognized by Mexico authorities. This is why is it vital to buy a Mexican Auto Insurance by Mexican Insurance Store.com policy before you drive in Mexico. Common sense would dictate you review Mexican Insurance Online prior to your trip South of the Border. Its simple, before you start your journey, buy Mexico Auto Insurance at Mexican Insurance Store.com, as you will benefit by saving frustration, time and money. Mexican Auto Insurance by Mexican Insurance Store.com is now required in order to drive on any highway in Mexico. The fiesta charged nightlife in Guadalajara is legendary. Every night the entire city is busy with the sounds of music, laughter and kinship. Mariachi music and popular Mexican dishes are known to have come from this city. It is also known to be the home of the world-famous Mexican drink, Tequila. In fact, Over 200 varieties of Tequila can be found in Guadalajara, and a multitude more found throughout those regions in its proximity. 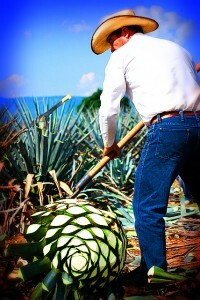 However, each distillery has one thing in common – the love of the agave plant that is necessary to give tequila its unique flavor. No less than 51% agave is ever used in true tequila, and some of the more premium brands use up to 100%. Agave gives the tequila its bold taste, and although some use chasers such as lime, and salt to prep for the harsh taste, these are traditionally only necessary for lower grade tequila. Premium tequila can easily be sipped from a wine glass and enjoyed by its consumer in the way that any fine liquor would be. Just remember Mexican Auto Insurance by Mexican Insurance Store.com or any other provider excludes drinking and driving from the policy. On your quest to find the best tequilas these regions of Mexico have to offer, dont forget that if you drive you must obtain Mexican car insurance. Buying Mexican auto insurance through companies who offer quality coverage and have financial stability is important for your peace of mind while driving in Mexico and will ensure you have no hiccups that aren’t caused by drinking tequila. Mexican Auto Insurance by Mexican Insurance Store.com comes with Roadside Assistance at NO ADDITIONAL COST! I’ve never thought that Guadalajara can be filled with all sorts of fun nightlife activities. Even though I have to buy the Mexican auto insurance when I want to enjoy myself there, I won’t think twice about it. Previous post: Mexican Insurance Store Mexican car insurance; Keeping a Mexico Travel-Related Food Journal! Next post: Puerto Vallarta Mexico: Live La Vida Loca!